Martin Perry 3rd February 2019 3rd February 2019 Comments Off on Football Psychology: Cardiff City – Emiliano! It’s the aftermath of Cardiff City’s vital win against Bournemouth. And Cherries boss Eddie Howe looks completely flat. His team haven’t been able to handle Cardiff’s intensity; desire and will. They have not only lost the game physically. They have lost it emotionally too. But none of this is surprising. Yesterday would probably have been Emiliano Sala’s debut for Cardiff. The floral tributes outside the stadium, demonstrated how much his disappearance has touched the hearts of the Cardiff public. A cause is one of the powerful motivators in sport. Having something or someone to play for outside of yourself. A focus for your emotional energies. 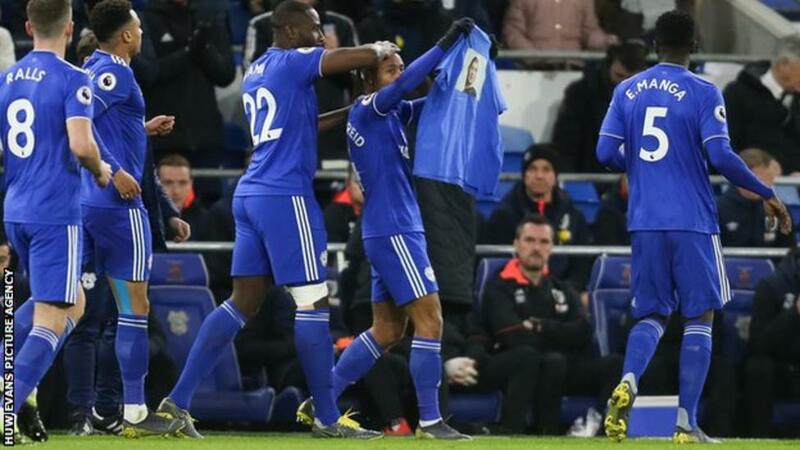 Yesterday, Emiliano Sala was Cardiff City’s cause. A cause enables you to do more than you would normally be able to do. Why? Because a cause taps into deeper emotional feelings. Such as not wanting to let Emiliano down. Wanting him to feel proud. Knowing that he can’t be there. But you can. Awakening all your senses, as your value for what you can do increases exponentially. Thus your energy levels go up…you can run further and faster for longer. So it’s no wonder Eddie Howe looked flat. Without a cause of their own, his Bournemouth team simply had no resistance to absorb Cardiff’s high octane desire and energy. Finding a cause isn’t always easy. It has to feel real. It’s in the reason why you do what you do and what you do it for. Channel it correctly, and you begin to tap into emotional energy fields that will make you feel you can run forever. As Cardiff City did yesterday!